For the first time in the still relatively young series of events on linear profiling, the workshop has been organized in Sweden and with a substantially strengthened focus on the practical part. And the two days, 22 - 23 January 2019, turned out to be a great success! 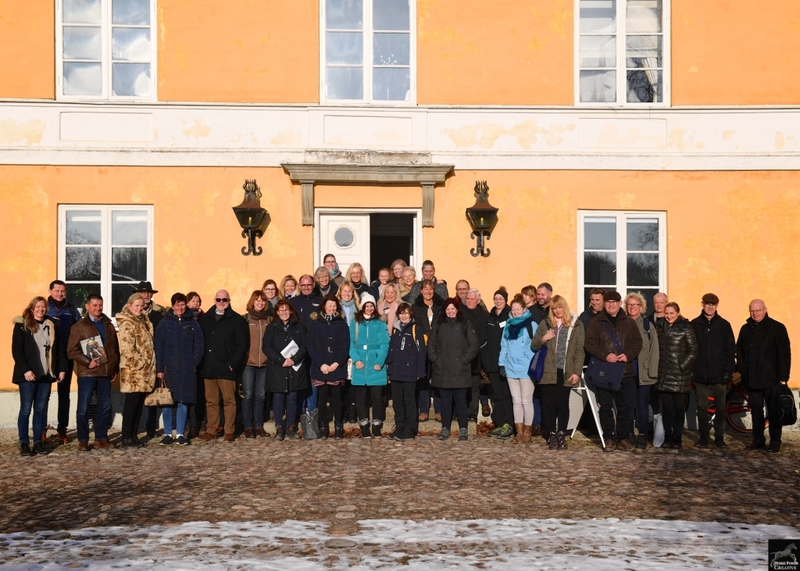 In the most beautiful surroundings of Flyinge Equestrian Centre, Flyinge, Sweden, the more than 50 participants from 16 countries enjoyed the unique atmosphere of the meeting which provided plenty of opportunities for re-freshing already existing and making new contacts, for discussing and comparing procedures. The Swedish hospitality was overwhelming and supported quick return of the well-known family-like feeling among those engaged in promoting linear profiling in the Warmblood horse. On the first day, experts from the panel of judges of the Swedish Warmblood association demonstrated the way they routinely perform the linear description of young horses in hand, in free jumping and under rider. Explanations and discussion of similarities and differences across countries made an excellent starting point for subsequent talks and presentations. With the nine presentations on the second day, the speakers contributed to knowledge transfer und improved mutual understanding of science and practice. Key messages were the crucial role of data quality, the great potential of linear data for breeders, the importance of transparency and the benefits of harmonization and collaboration. In the closing discussion, the workshop participants underlined the high value of the regular meetings, praised the very well organized practical sessions at this 5th IWSLP and suggested keeping this approach of a detailed insight into linear profiling in the host country. Although the mixed scientific and non-scientific audience implies challenges in the theoretical sessions, these updates are considered valuable and inspiring. Continuation of the workshop series with annual meetings would be appreciated, and based on the now available overview, specific topics like linear description of foals or linear traits relating to behavior and temperament could be addressed in future workshops. Further information and conference material is found in the section International Workshop on Linear Profiling in the Warmblood Horse. For the forth time, representatives from practice and science who are working with linear profiling have met for an open exchange on eye level. The workshop was organized in the proven format on 14-15 March 2018 in the North of Germany, and the great atmosphere of the whole event has contributed to its success. On the agenda were as constant hot-topics in connection with linear profiling: data quality, information, education and training. In addition, the increasing number of breeding applications on the basis of linear data has motivated severeal highly interesting contributions. The series of events on linear profiling, analyses of linear data and breeding work using linear traits, supposed to strengthen collaboration between practice and science, was continued in 2017. The Principal and State Stud Marbach in Gomadingen, Germany, welcomed almost 50 people from 14 countries on 24-25 Februar 2017, and the participants enjoyed the two days of intense exchange in the beautiful surroundings. There is little doubt that linear profiling ranks high among the current hot topics in sport horse breeding. After years with very few studbooks working with this methodology that is well established for other species, linear conformation and performance traits have meanwhile made their way into the breeding of riding horses: There is hardly any studbook which has not yet at least run a pilot study for testing the linear system; several studbook have introduced linear profiling as extended service and valuable amendment of the traditional valuating scoring - and the breeders generally appreciate this development. Furthermore, the use of linear data for various analyses and for strengthening the breeding programs has become an issue. The meeting on 11-12 February 2016 in Warendorf, Germany, has now provided the opportunity to make new and intensify existing contacts and to discuss how to meet the challenges related to routine implementation of linear profiling. The numerous and very positive responses underlined the importance of and demand for exchange, and finally participants from nine countries have received valuable input for their daily work. The great surroundings at the North Rhine Westphalia State Stud Warendorf made it possible to provide a mixture of theory and practice and to organize a meeting for improved dialogue between science and practice and across countries and studbooks. Everybody agreed on the importance and great benefit of exchange of information and experiences - and the program of the workshop provided an appropriate framework. So, it was not only the speakers receiving very positive feedback to their interesting presentations. The participants have also very much appreciated the group discussion on the second day which allowed addressing some relevant apects around the implementation of linear profiling (see notes for the discussion). The main outcome and conclusion of the workshop was that the high value of linear profiling for Warmblood breeding can only be safeguarded by thorough adherence to agreed best-practice procedures - from trait definition to results publication. In this context, regular education and training of assessors is extremely important - and a suitable topic for the next event of the proven science-to-practice format, which was preliminarily scheduled for February 2017. More than 10 years ago, a survey on the breeding practices and breeding objectives of studbooks of sport horses was conducted. The results were published in 'An overview of breeding objectives for warmblood sport horses', Livestock Production Science (Koenen, Aldridge and Philipsson, 2004) and received considerable attention. Since then, the breeding industry has evolved considerably: all of us faced the consequences of the financial crisis, whereas on the other hand new technology and progress in science provide exciting opportunities. It was therefore decided to renew the above-mentioned study to get an update overview of sport horse breeding worldwide. The initiative was taken by the Interstallion working group of the Horse Commission of the European Federation of Animal Science (EAAP). The questionnaire was sent out in summer 2015, and first results of the study could be presented at the 66th Annual Meeting of the EAAP in Warsaw (see EAAP 2015 Presentation S44-7). However, to get an even better overview of the worldwide situation and development of sport horse breeding, data collection is continued. The more answers we get, the more representative the study results will be, so we would highly appreciate more studbooks investing some time - it should be a good investment! We hope to receive feedback too as many of the 22 questions as possible, but if single questions appear too hard to be answered, please feel free to ask for clarification or possibly skip it. All answers of studbook representatives (please consider that they are the exclusive target group of this survey) are very welcome and will be considered in the summary statitistics supposed to provide the basis of a scientific paper. Please return your filled-in questionnaires by December 14, 2015. Further details and contact information is found in the preface of the EAAP Studbook Survey 2015. Motivated by the very positive reponses to the FFP annual meeting, the editorial team succeeded in completing the procedings in less than six months. The papers corresponding to the slides presented at the seminar plus the major points addressed in the subsequent discussions have been compiled to an informative booklet. Special thanks go to the contributors who shared their knowledge and experiences with us - not only at the seminar, but now also in more detail as manuscripts! The FFP special edition is available as paperback and gives on 160 pages insight into the hot topic of genomically enhanced breeding methods. The association Verein zur Förderung der Forschung im Pferdesport e.V. (FFP) is with its activities promoting the exchange and increase of knowledge about the sporthorse. Seminars are addressing 'hot topics' and give plenty of room for an intense dialog between science and practice. On April 17-19, 2015, in Vechta, Germany, the 32rd annual meeting of the FFP took place focussing on new and genomically enhanced methods in breeding - with all related opportunities and challenges. Everybody interested in horses and seeking for an update with regard to recent developments in horse breeding, was kindly invited to the seminar which was jointly organized by the FFP and the Oldenburg associations (Verband der Züchter des Oldenburger Pferdes e.V.). A relatively small, but highly engaged group of people enjoyed the three days of intense exchange with experienced speakers and young scientists. In depth discussions of the presented topics ensured that both participants and speakers could benefit substantially from the meeting. This may facilitate reaching the practice with the highly interesting topic of equine genomics. There was general agreement on the value of genomic profiles of horses and their enormous potential for sustainable improvement of e.g. health traits - not only for the breeder, but also for any rider and horse owner. The initial scepticism towards the new methods disappeared quickly, making room for enthusiastic support. Accordingly, the FFP annual meeting may have generated some valuable multipliers that help promoting the use of genomic approaches in horse breeding. Details on the seminar can be found in the seminar flyer (in German); presentations are available for download at publications. Further information on the FFP is provided online at www.ffp-ev.de. Health aspects play a major role for horses, regardless of their keeping, management and use. However, the importance of equine health is currently not reflected in breeding, because health data are recorded heterogenously and are not available for routine use and analysis. 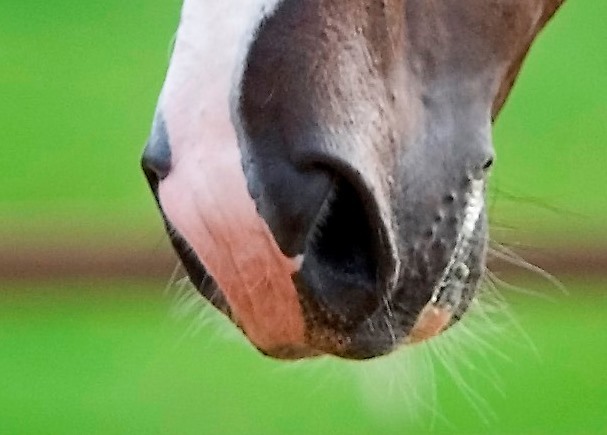 To change this unsatisfactory situation, German horse breeding societies and veterinarians have initiated a collaborative research project on equine health. Representatives from the German National Federation, from the IT center vit and from science are complementing the project consortium. Implementation of an equine health data base is supposed to prepare the German horse breeding for sustainable measures for health improvement. Standardized reording requires an equine health key which warrants harmonized documentation. Smart solutions for the recording will benefit user compliance and make the standarized recording feasible in the daily veterinary practice. Technically appropriate conception is realized as part of a veterinary medical doctoral thesis. Equine health data could then be recorded in the field with different systems and transfered via newly defined interfaces to the central equine health data base. Integration of this data base into the existing equine data base system is considered favorable for the future processing and use of the health information. High sensitivity of health-related information imposes high demands with regard to the regulations of access and usage rights. All stakeholders of the equine sector need to be cautiously considered. 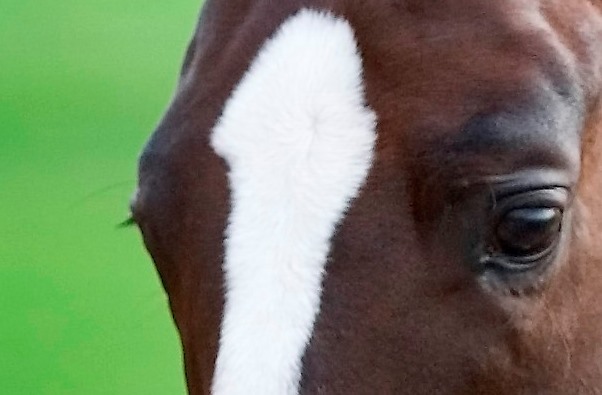 There is little doubt that horse breeeders are highly interested to have more information on health traits available when making selection decisions. With thourough addressing of all legal requirements and highest priority of data protection, the project aims to path the way for usability of equine health data in the breeding of riding horses, implying valuable contribution to future competitiveness of the German studbooks. In the course of a veterinary medical doctoral thesis, a comprehensive recording standard for equine diagnoses and findings has been developed. This will allow collecting comparable data for future analyses on horse health. The manuscript has just been submitted for publication in an international peer-reviewed scientific journal. The aim is to make the recording standard - German and English version - freely available online. You will find it then under trait groups - health. Information on new research projects, events, ... related to equine phenotypes will follow soon.